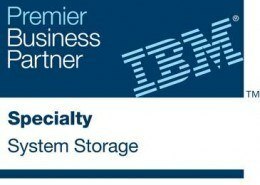 Moncrieff has retained its IBM System Storage Speciality certification for 2014 after initially attaining this signification certification at the beginning of 2013. Moncrieff pre-sales, engineering and sales staff continue to invest in education around the IBM storage portfolio to ensure that Moncrieff is able to deliver best of breed IBM storage solutions based on IBM storage technology. The introduction of compression and flash technology to the storage portfolio now enables Moncrieff to deliver unique solutions to solve our clients business challenges. Moncrieff continues to look forward to working with the IBM team in assisting our mutual clients. Moncrieff is the only IBM Business partner to have achieved this certification in WA and one of only five in Australia. This significant certification shows our commitment to offer the very best service levels and professionalism to our customers and strengthens our long standing business partnership with IBM.